Don’t delay...2019 Saltscapes Expo has only a few exhibit spaces available. Don't miss out on this extraodinary weekend. Call now to reserve your space!! 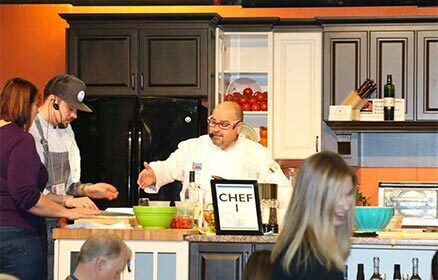 2018 saw the most successful Saltscapes East Coast Expo yet with more than 500 exhibitors, 100’s of wonderful local tastings, demos, incredible live entertainment and a 12.4% gate increase over 2017. We look forward to working with you and offering you a performance-driven, non-stop, three-day, ultimate-lifestyle experience “Celebrating Canada's East Coast Together” in April 2019. Stay tuned for some exciting news on potential new events on the horizon! Interested in taking part in any of our fantastic Saltscapes events? Contact Lisa Sampson by phone at 902 464 7258 or email. Look for these sections at the Expo!